Earlier we talked about boots. Well you can have the most amazing boots on the planet, but if you throw some cheap cotton socks on with them, you’re gonna turn your feet into ground meat pretty quickly. No one wants Trench-foot. So let’s see what we can do to avoid it. Since we’re traveling light, I would recommend you carry a minimum of 3 pairs of socks with a maximum of 5. I really like the 3 pair method and I’ll tell you why. You have one pair of socks on your feet, at the end of the day you take off that pair and wash it, or at least rinse it out. You then put that pair in the bottom of your sleeping bag that night which will expedite the drying process without getting you wet (trust me, I’ve done this… a lot). The next day you hang the washed socks on the outside of your pack, this will help to thoroughly dry and air them out. You put on a new pair. At the end of the day, you repeat the process for the pair you wore and put the pair that’s been airing out into the rotation to be worn on the day after tomorrow. This keeps you with one pair of thoroughly dry socks, one pair that you’re currently wearing and one pair that’s in the process of drying/airing out. It’ll keep your feet healthy and happy. After all that we probably ought to recommend a couple of styles, right? Right. 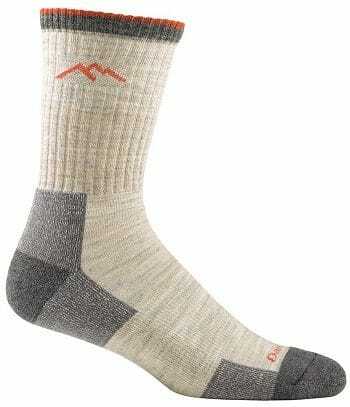 I cannot recommend a more supportive, durable and comfortable sock for men or women. The Darn Tough sock company triple stitches everything and trail tests their products for comfort and durability on The Long Trail in Vermont. 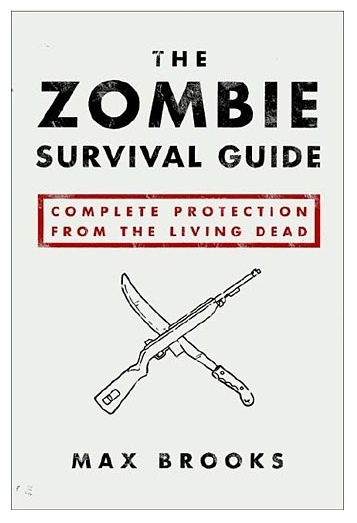 They also offer a lifetime warranty on their socks not to wear out (which in the case of a zombie apocalypse probably isn’t relevant, but in the meantime it’s a pretty nice perk). 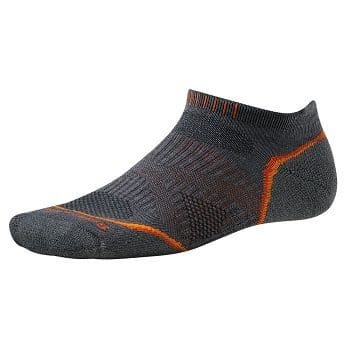 I like the fit and arch support on these more than many of the other hiking socks out there because of the dense foot cushion and the ring-toe stitching. The ring-toe stitching means that there’s no bumpy sock seam rubbing against your foot all day long, which is pretty much amazing. Depending on what style of survival you’re pursuing, you may have decided not to go with a boot, but instead with a lightweight running or cross training shoe. If that is the case, this is a great sock for you. It provides cushion and support where you need it and minimal additional material where you don’t. It’s a quick drying, breathable sock that will help to keep your feet dry even in soggy conditions. You wouldn’t want to wear this with a boot system, because it’s too low cut, but if fastest and lightest is the way you’re going then you’ll want to use these socks to help get you there. Remember, keep your feet as dry as possible for as long as possible. You can’t walk or run without them and in this game mobility is the key to success.